Singapore Changi International Airport is one of the most renowned and busiest airports in the world. We are the most efficient transporter to cater to your needs when it comes to Maxi Cab Airport Transfer Singapore. Hassle free booking your transportation needs. We provide a simple yet effective interface to make your Maxi Cab/Minibus bookings. All you do is sit back, relax and enjoy your ride when you reach Singapore. Our Maxi Cab Chauffer’s will meet and greet you at the Arrival Hall. The designated Maxi Cab/Minibus chauffer will bear a display card with your name. Our Maxi Cab/Minibus chauffeurs are very experienced with the routes around the city that you will reach your destination in no time. Feel free to ask our Maxi Cab chauffer’s questions that may arise. You may also book for a Maxi Cab or Singapore airport transfer minibus to cater to your sightseeing or traveling needs. For your trip back to the airport, book a Maxi Cab to the airport with us. We will inform you of the perfect time to leave your home or hotel to the airport based on your departure time as well as traffic conditions if required. A variety of choices are available when booking a maxicab & minibus airport transfer service in Singapore. 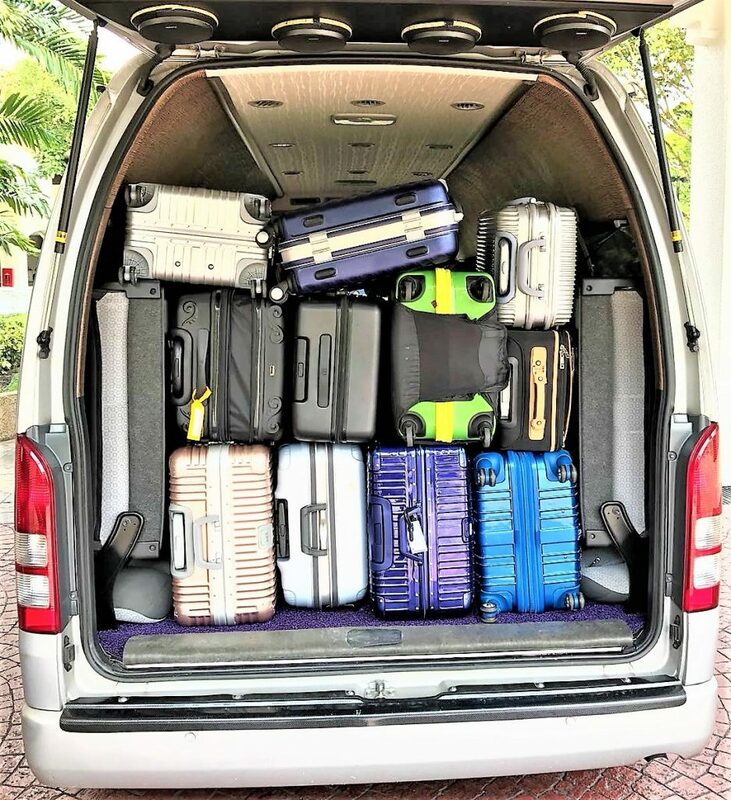 The Number of passengers, Number of Luggage’s, Size of Luggage’s and Comfort level are some factors that determine the choice of the vehicle that you want to book. Need not to worry as our wide fleet of vehicle types such as 6 Seater Executive Maxi Cab, 7 Seater Maxi Cab, 9 Seater Maxi Cab and 13 Seater Minibus gives you a vast variety to choose from. Call our 24 Hours Maxi Cab Hotline or make a booking via our Maxi Cab online booking portal. 1) Airport Arrival comes with a 60 minutes complimentary waiting from flight landing time. 2) Airport Departure comes with a 15 minutes complimentary waiting from booking time. 3) We monitor the arrival time based on your flight number in the event of delay or early landing. 4) Meet & Greet Service is available at an additional charge of $10. 5) Midnight Surcharge is applicable for bookings made between (0000hrs-0600hrs) at an additional charge of $10. 6) Waiting charges apply based on $10 per 15 minutes block after complimentary waiting time. 7) All additional drop offs are charged at $10 per additional stop. 8) Generally Passengers are required to be in the Airport 2 Hours before Flight Departure Time.